David Burney is Associate Professor of Planning and Placemaking at the Pratt Institute School of Architecture and the Chair of the Center for Active Design. Burney was Commissioner of the New York City Department of Design and Construction (“DDC”) from 2004 to 2014, where he launched a City-wide “Design and Construction Excellence Initiative” with the goal of raising the quality of design and construction of public works throughout New York City. 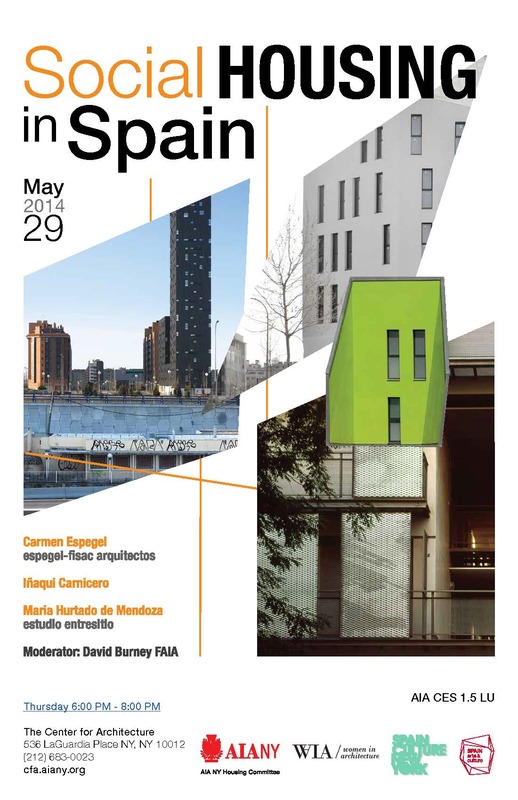 Carmen Espegel is Doctor Architect and Full Professor at the Design Department of the School of Architecture, Polytechnic University of Madrid and has lectured in Italy, USA, Belgium, Holland, Mexico, Colombia, Brazil, Argentina and Portugal. She has written several books and numerous articles. Espegel leads the Research Group “Collective Housing” (GIVCO), directs and teaches the Projects Design Module “Housing Projects” at the Master of Collective Housing (MCH), imparts Doctoral Dissertations on Housing in the School of Architecture of Porto, and lectures Master Courses at the Master Housing (MH) in the University Roma Tre. Active in both the academic field and a professional practice, Iñaqui Carnicero has been an Associate Professor of design at the School of Architecture, Polytechnic University of Madrid since 2000 and currently he is a Visiting Assistant Professor at School of Architecture, Cornell University. Carnicero is Co-founder of the architecture platform “Symmetries,” which compares Roman and contemporary procedures. Architect and educator, Hurtado de Mendoza is Co-founder of estudio.entresitio,an international, award-winning practice with offices in Madrid and New York. She is an Associate Professor in the College of Architecture and Design at the New Jersey Institute of Technology. Faculty member of the School of Architecture at the Polytechnic University of Madrid (ETSAM) for 15 years, she has also been visiting critic at the School of Architecture, Cornell University.